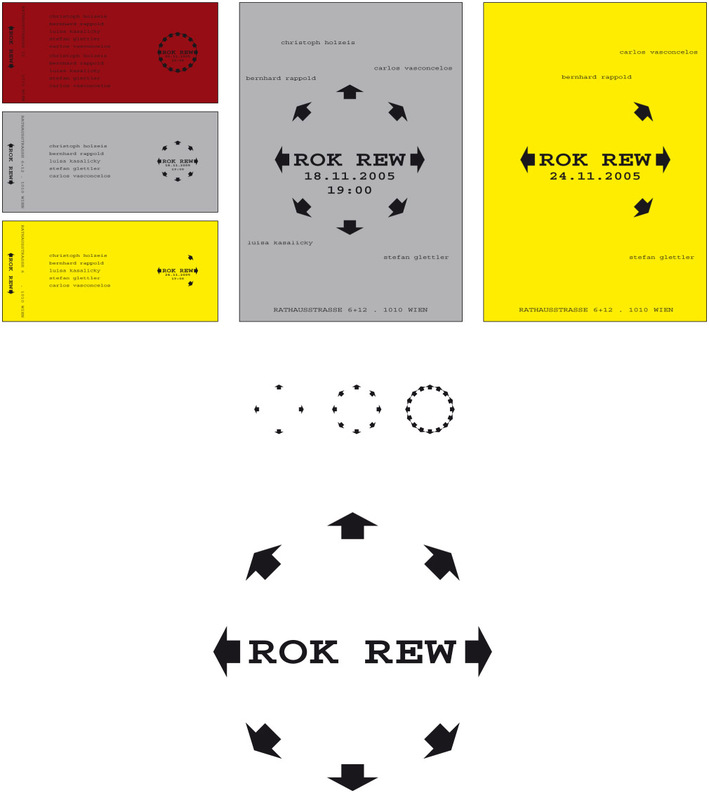 An art project that exhibits in two different spaces – ROK and REW – needed an identity that works for every exhibition space, separately and together, depending on the exhibitions. The shows work sometimes in one project space and sometimes in both. The logo mutates, depending on the exhibiton space and the number of persons that exhibit. The approach was to have a simple and unpretentious layout and therefore the text and graphic is in black and white, the paper for the exhibitions change in colour and texture.